We replanted all 3 patches as our plants were getting older. 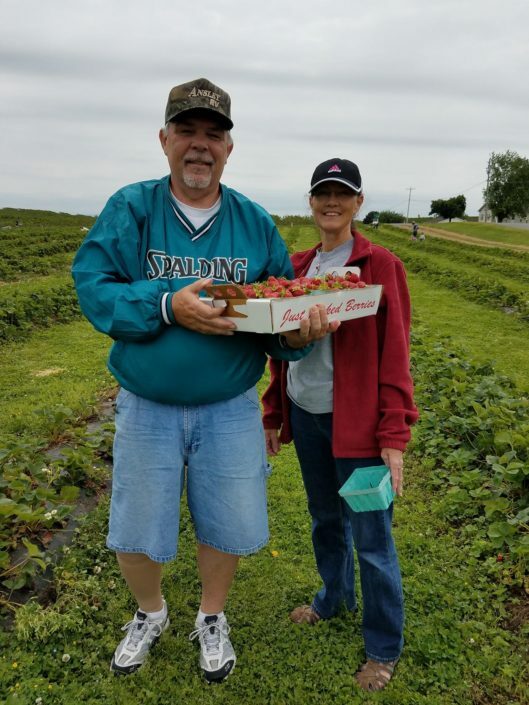 We expect a GREAT strawberry season this year! With the strawberry lightly in your hand, grasp the stem just above the berry and pinch with your thumb and index finger, pull with a slight twist. Never pull or tug on the berries. Pick only ripe berries! They are one of the only fruits that do not continue to ripen after they are picked. Size is not an important characteristic. Small red berries taste just as good, if not better than large red berries. Again, color is the most important quality to look for. Strawberries like to hide! Be sure to look deep in the center of the plants for hidden red strawberries. Do not pick flowers or green berries as this hurts the strawberry plants. 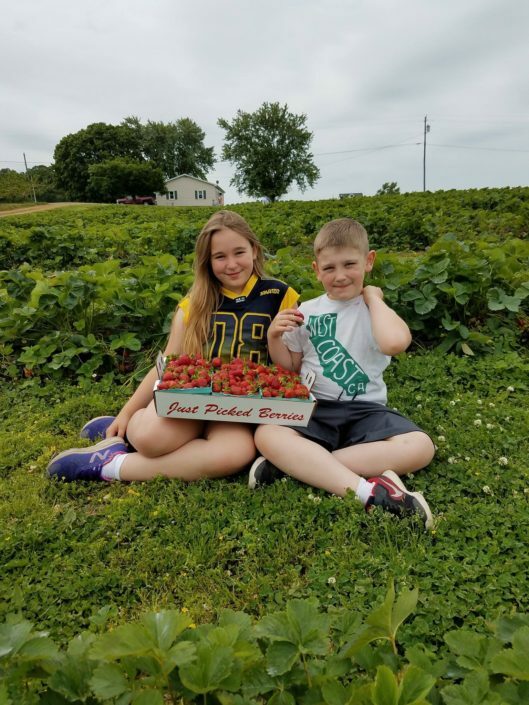 The best berry picking is usually on the far end of the patch where fewer pickers venture. A little extra walking is usually worth the effort for easy, prime picking. All produce should be washed before eating at home. Please do not consume strawberries in the field. Please keep containers level full. 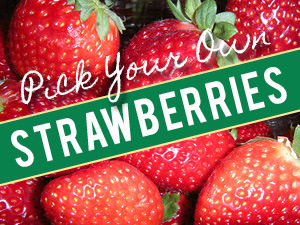 Over-filling leads to smashed berries in the bottoms of your containers, plus some are wasted as they fall off the tops. 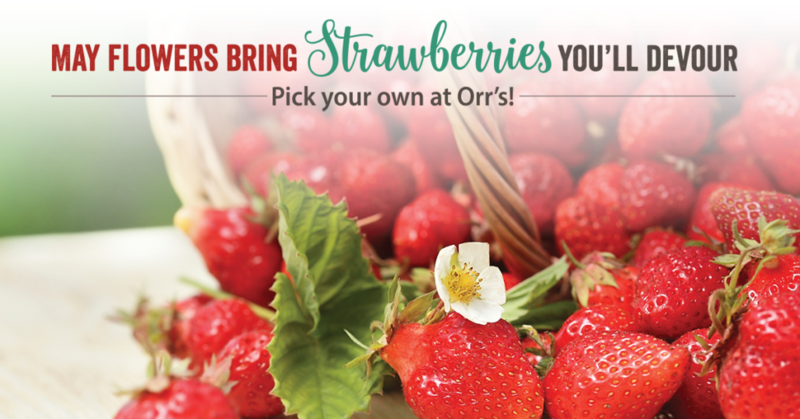 When you get home…cool your berries down as soon as possible after picking. Do not wash strawberries until right before you are ready to eat them. Orr’s Farm Market is kept clean for your enjoyment. Please do not leave trash in the fields. Wastebaskets are available for your convenience. Stop in Orr’s Farm Market to pick up other delicious items and COLD drinks! Simply wash and drain well on paper towel. Place the berries in your freezer on a cookie sheet single layered. After frozen, move the berries into freezer tight containers or plastic bags and then place back in the freezer for long-term storage. The berries are good for up to 1 year in the freezer. Great for smoothies!